FERRARI calls it the "most extreme one-off design ever" but the biggest appeal for enthusiasts might be the guarantee your neighbours won't have one. 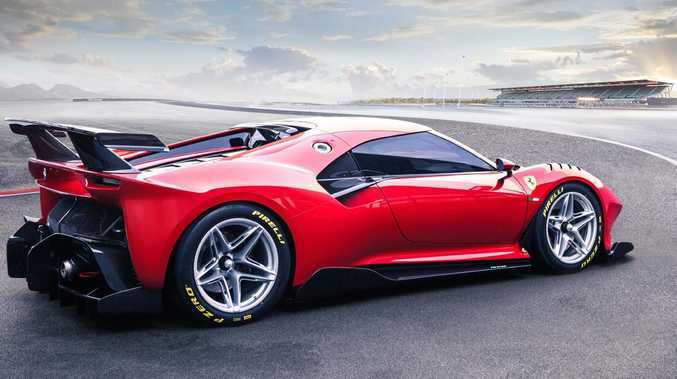 The sole Ferrari P80/C has been four years in the making and was created for a "discerning Ferrari collector" who helped design the track-focused car based on the 488. 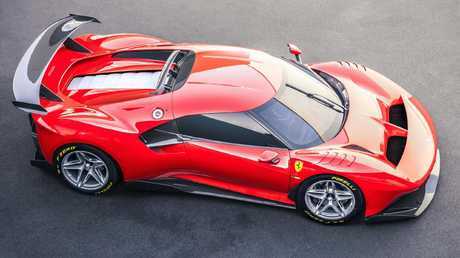 Working with Ferrari design chief Flavio Manzoni as well as the engineering and aerodynamics teams at the brand's headquarters in Maranello, the "great connoisseur of the Ferrari world" wanted to add to his collection with a car inspired by legendary Ferraris from decades ago. The P80/C draws inspiration from some classic Le Mans racers. One of those cars was the Ferrari 330 P3 and 330 P4 that was comprehensively outclassed by Ford in the Le Mans 24 Hour races of 1966 (with the P3 model) and 1967 (with the updated P4). It was beaten by the legendary Ford GT40 that was created after Ford spent millions trying to buy Ferrari before disputes stopped the deal. The second car that inspired the P80/C was a car that never wore a Ferrari badge, the Dino 206 C. Trying to separate its V6 models from its V12s, Ferrari used the Dino badge named after Ferrari founder Enzo Ferrari's son. 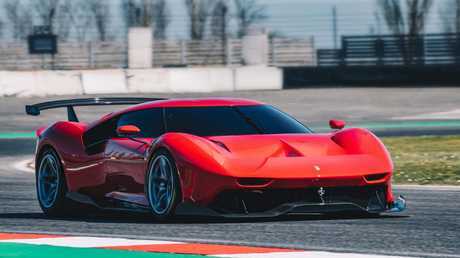 The P80/C is based on the Ferrari 488. No doubt the P80/C won't have issues outclassing Fords - and it will wear a Ferrari badge. Underneath, the Ferrari P80/C uses the basic chassis of the 488 GT3, a car raced to victory in the 2017 Bathurst 12 Hour by Craig Lowndes and Jamie Whincup. With a longer wheelbase than the regular Ferrari 488, the GT3 also has other track focused additions and changes that worked in crafting the P80/C for race duties. However, not having to abide by international race car regulations, Ferrari designers employed unique carbon fibre bodywork claimed to be 5 percent more efficient than the GT3 race car. A huge rear wing and prominent rear diffuser places visual emphasis on the tail while providing plenty of downforce for fast cornering. The P80/C has extreme aerodynamic features. When viewed from above the centre section tapers in, with hints of F1 car with its barge boards that are a crucial aerodynamic component. The 3.9-litre twin turbo V8 engine also isn't hampered by race restrictions designed to create closer racing. 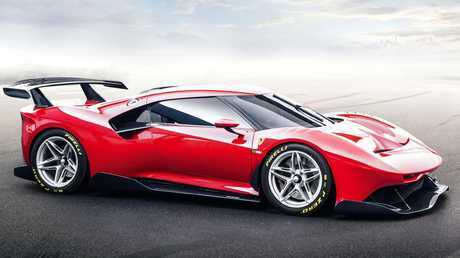 There's no mention of how much power it produces, but it's likely pumping out slightly more than the 492kW of the 488.